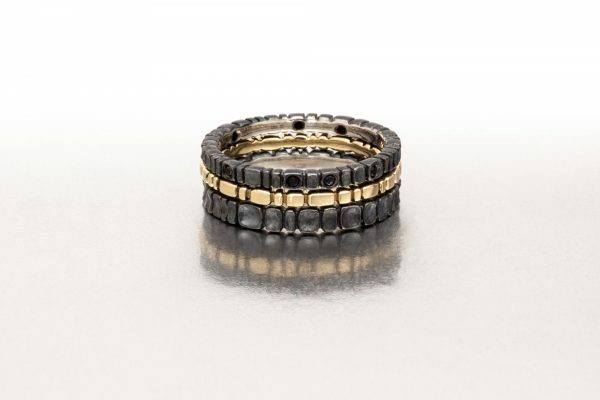 3-ring stack combo of blackened Platinum-enhanced Sterling, black sapphires and 18k gold. 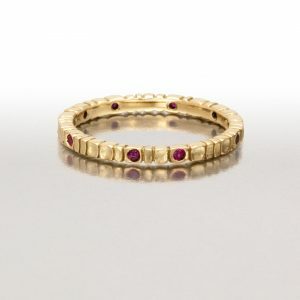 Price listed is for the set as shown. See Details for individual prices. 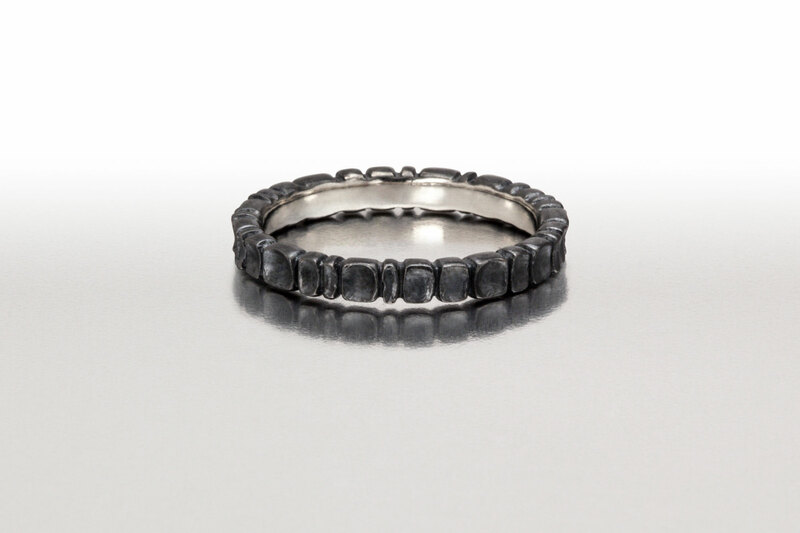 Two blackened rings are made of Platinum-enhanced Sterling. 5% platinum makes the metal lustrous and durable. 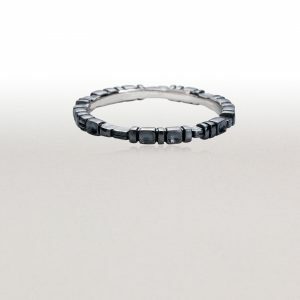 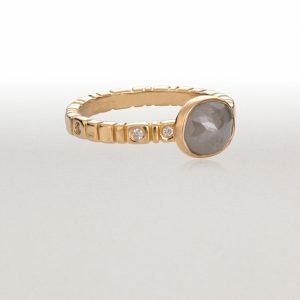 One is flush-set with 10 faceted black sapphires. 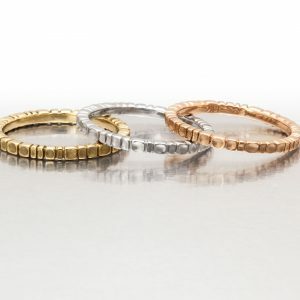 The middle band is 18k yellow gold. 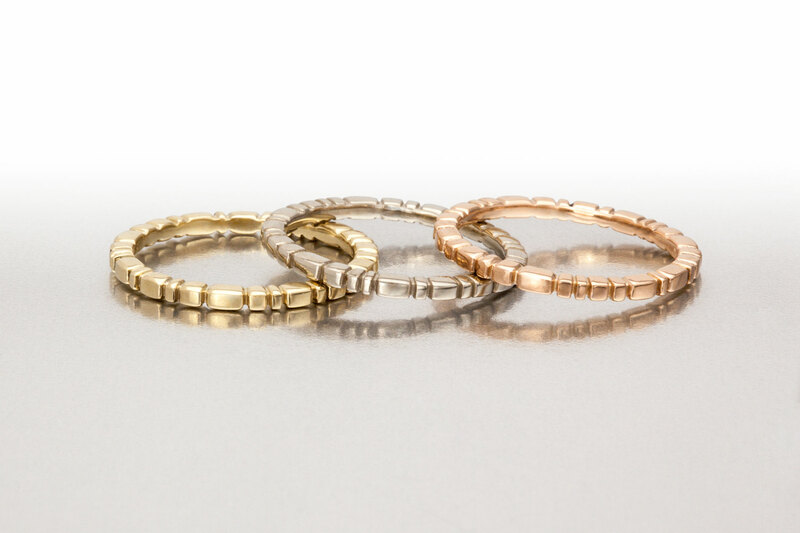 Pink or white gold are available.